Q)Where did the inspiration come from? A)I wanted to create something that my kids could read and would want to read. Megatomic Battle Rabbit is part tribute to the stuff I loved as a kid (and still do) and part autobiography. They say write what you know, and while I have zero idea of what it’s like being a six-foot-tall alien space rabbit, I have first hand experience of being a twelve year old boy that would’ve loved to have met one. Q)What made you choose West Bromwich? A)It’s where I’m from, in fact Dexter lives in the same street I grew up in. Q)Do you identify with any of the characters? A)Dexter is very much based on me at that age. We share the same dreams and same desires to go on amazing adventures. I grew up watching stuff like The Goonies, E.T and Back to the Future and I was always a little bit annoyed that I never got whisked away into the great unknown. Q)How long did it take to make the comic? A)I have no idea how long to be honest. I have had the very, very basic frame work of the story in my head for sometime, and it went through various changes and development before I hit the eureka moment. But it was totally worth it. Q)When will issue 2 be released? Q)What comics inspired you to want to write your own comic? A)I wish I could say it was something obscure and hip, but the truth is I’ve loved comics for as long as I’ve been able to read and have never really stuck to one genre. I started reading the usual stuff like The Beano and Dandy and then discovered 2000ad and Oink! Which have been both hugely influential in my work over the years. And then there’s stuff like Watchmen, The Sleaze Brothers, Dark Knight, etc. The list goes on and on. But outside of comics by greatest creative influences are without Terry Gilliam and Terry Pratchett. Q)Tell us a little about yourselves and your role within your team? A)Myself and Israel are a real team, it’s an equal partnership. We bounce ideas off each constantly, which is amazing really considering neither of us speak the same first language. I love working with him and our working relationship and friendship is beyond awesome. I need to get to Madrid one day to meet him in person. Q)Was it hard to find a publisher? A)We pitched it to a few who were a little unsure, when you tell people you’ve got a great idea for a comic about a six foot giant rabbit they tend to go a little blank, but when Aaron and Dan at Fair Spark Books saw it, they loved it and they’d proven to be by far the most professional, passionate awesome bunch of people I’ve had the pleasure of working with. I’m proud that the big furry fella is part of the Fair Spark family. Q)What is the dream? 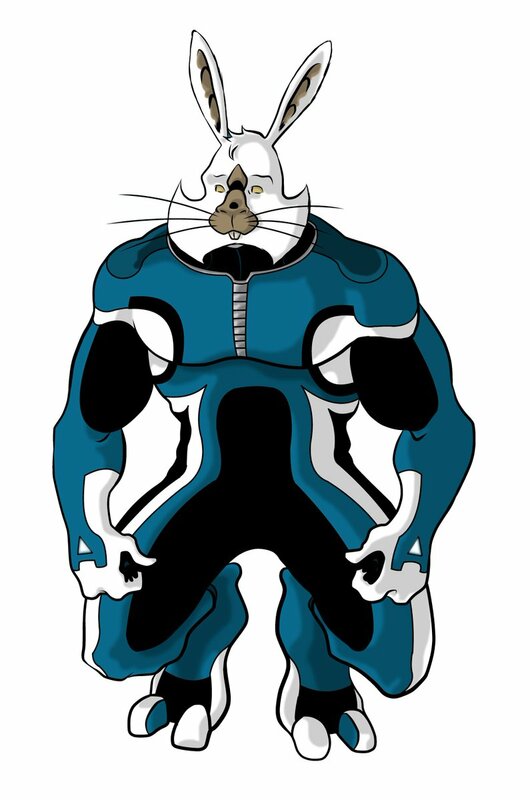 Do you want Megatomic Battle Rabbit to be made into a film? A game? A)Oh man, that’d be awesome. 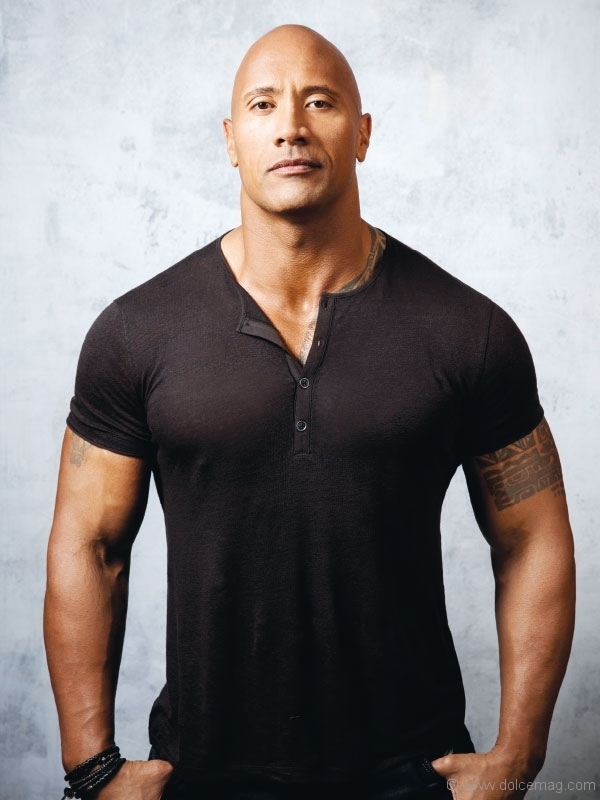 In fact me and Israel have discussed our dream cast, he wants Chris Hemsworth to play Megatomic, but I suggested Dwayne Johnson, guess it’s up to the casting folks to decide. But if that was ever to happen it’d be a dream come true….providing Israel and myself get a Stan Lee style cameo. Q)How can our readers buy your comic? Q) How were the drawings done? Was it all done using a mouse on a computer? A)As far as I know Israel pencils them traditionally and then inks them by computer. Q)How did you all meet? What made you all come together and make a comic? A)We’ve worked on a fair amount of comics together over the years, he’s always my go to guy. We live thousands of miles away from each other and yet have this strange connection where we have the same ideas on where to go with stuff. Q)What genre would you put your comic under? A)All ages sci-fi or the best comic you’ve not read…either of those is fine. Q)Are there any Easter eggs in your comic? For example, in Dexter’s bedroom…? A)That first issue is crammed with Easter eggs. In Dexter’s bedroom alone there’s references to three of my previous comics plus you’ll see references to Star Trek, Dr Who, Star Wars, E.T, and Red Dwarf. There’s also little things like Dexter’s best friend being called Henry Garfield, which is the real name of Henry Rollins and Israel has managed to include a reference to Def Leppard in the first issue. Q) What would you say to yourself when you first started? Q)What would you say to someone who wants to make their own comic? A)Just do it, stop thinking ‘one day I will’ and start saying ‘today I’m going to’. Life’s too short to mess around, create something fun and exciting and if no-one likes it, it’s still a success- you did it. Q) Is there any information you can give about your future comics?